Master Police Officer John William Knapp, Jr.
Master Police Officer John Knapp suffered a fatal heart attack after assisting several motorists push their vehicles off the roadway during snowy conditions. He complained about chest pain several times during the shift before going home. He passed away in his sleep. 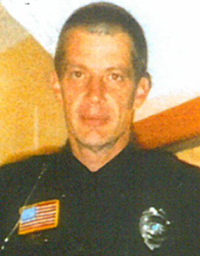 Officer Knapp had served with the Boone Police Department for three years. He is survived by his wife and three children. Rest in peace Master Officer Knapp.